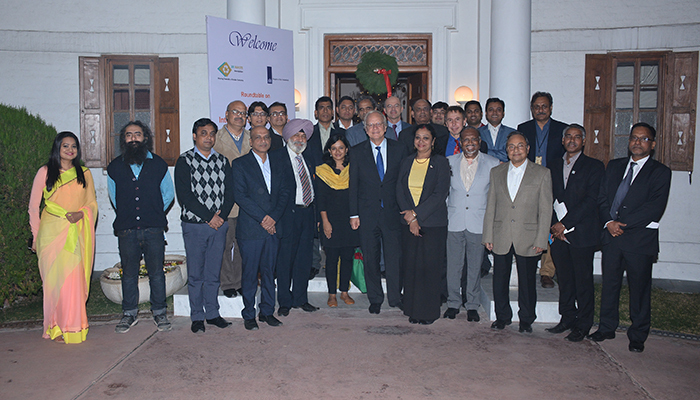 WASTE, Netherlands and FINISH Society felicitated by the Royal Netherlands Ambassador to India, H.E. Mr. Alphonsus Stoelinga,at his residence in Delhi, on the occasion of FINISH Society constructing more than 5 lakh toilets. FINISH Society and WASTE were felicitated by none other than the Royal Netherlands Ambassador to India, H.E. Mr. Alphonsus Stoelinga,at his residence in Delhi, on the occasion of FINISH Society constructing more than 5 lakh toilets. The event that was held on December 7, 2016 was attended by the top brass of the Central and State governments, Officials from the Swachh Bharat Mission team, corporate, FINISH partners and friends and also saw the launch of 3R Waste Foundation, a not-for-profit organization with the purpose of addressing directly local challenges in sanitation and solid waste management with WASTE's global experience and comprehensive expertise.